I then went to load my card and realised it was supposed to be a Christmas card using a birthday set. Even though Oh So Succulent has a birthday sentiment in it, I wasn’t sure it fit the challenge 100%, so I scrambled and made the following card using Happy Birthday Gorgeous. I created a wreath with the leaves from this set and stamped the little flowers in red to make them look like poinsettias. 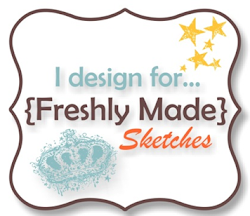 The girls at Just Add Ink have created wonderful inspiration for you – so head over to Just Add Ink and take a look. We would love it if you could play along. Love both of your cards and I think they would both qualify for using a birthday set for a Christmas card. Your cards are lovely! 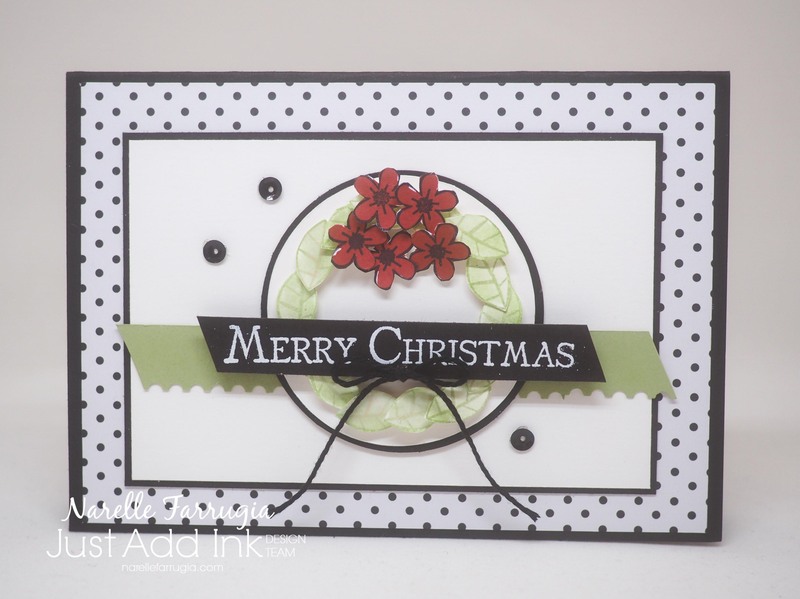 But I just love the inventive use of stamps in the second card and the colors with the dotted dsp! I think they are both amazing, Narelle! The succulents are a great choice for a summer Christmas! Two gorgeous cards, Narelle! Both fit the brief, in my opinion, and both are perfect!